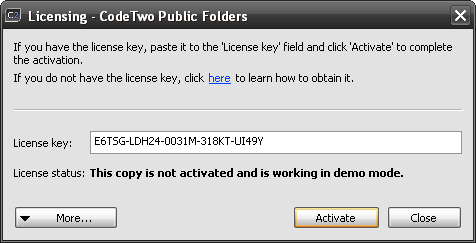 1 December is another day with an update to one of our solutions CodeTwo Public Folders. This is an application that has its users worldwide and is rapidly gaining in popularity. CodeTwo Public Folders serves as an alternative to those small and mid-sized companies that do not want to buy a costly and complicated Exchange server. 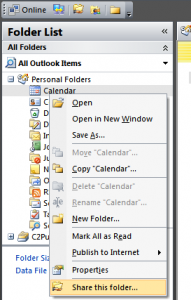 Just as with the big brother from Microsoft, installing this outlook add-in adds a sharing capability to Outlook clients in your company. Today we are releasing an update that adds some more functionality to the program as well as improves its performance. CodeTwo Public Folders v.4.5 is capable of installing onto the latest products of Microsoft. These include Windows 7, Windows Server 2008 and Windows Server 2008 R2. This version will work too if you are upgrading to Microsoft Outlook Office 2010. The most noticeable changes are the look of the installer program, the licensing module and the change of terminology. Yes, no more client and server modules. 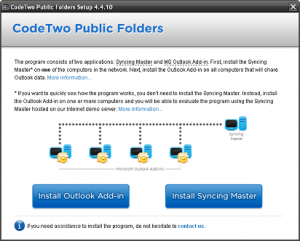 Now the part of the application that is installed at the workstation is called the Outlook Add-in, while the server piece becomes the Syncing Master. We hope this alternation in the names will make it a bit easier for newbie users to get acquainted with how the program works. If you decide to upgrade, you will first come across these names in the installer of the program. The installer will now help you quickly look up the currently used version as well as it will suggest if an upgrade is necessary or a new installation. With the new installer, the program is even simpler to deploy for new customers. 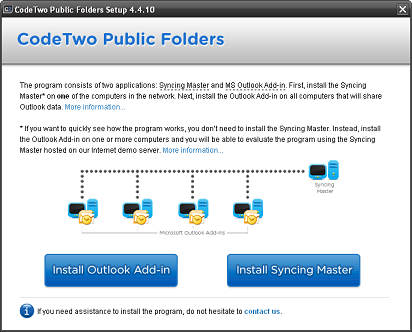 The Outlook Add-ins installed at workstations are capable of automatically finding the Syncing Master in the local network i.e. the module they use to exchange data with other Outlook Add-ins. The automation of this process will surely reduce some of the confusion shared by new users about how to connect the workstations to start sharing data. Another thing that will be spotted by users is the new activation procedure. It had already been implemented with our other solutions CodeTwo Exchange Rules , CodeTwo Exchange Rules 2007, CodeTwo Exchange Sync and is now available to the users of CodeTwo Public Folders. There is no longer a need to send us the registration code in order to go full version. Upon ordering you will be sent a license key that will be used to activate over the Internet. A new user-friendly feature simplifies the way personal folders are shared. 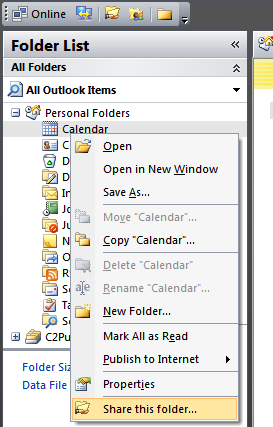 This is now possible directly from the personal folder tree due to a convenient feature which will let you share the folder in a single mouse click. Apart from the above changes there is a lot made internally to the program. The mechanism of the program that is responsible for data exchange between the Outlook Add-ins has been optimized. This was made possible owing to the implementation of data compression. Next, the application is capable of supporting Fast Shutdown feature introduced by Microsoft in Service Pack 2 to Microsoft Outlook 2007. Finally, the location of the PST file can be changed in the new version of CodeTwo Public Folders – a very much asked-for feature. The most important news is that this upgrade is totally free of charge so visit the download page now and upgrade all your computers.